Making Windows 10 less instrusive. Windows 10 has a bad reputation when it comes to privacy. While some of the complaints are overblown, all that matters is the perception, at least when it comes to convincing users to upgrade. Microsoft is aware that it has work do in this regard, and so its upcoming Creators Update will introduce new privacy controls and settings. Microsoft detailed some of its new privacy controls and settings back in January, along with some changes it planned to make in regards to data collection. Those features were implemented not long after, though until now Insiders haven't been able to actually test them. Now they can. With the latest Insider build, users who want to experience the full extent of the changes (to date) and offer feedback on them need to roll things back to the Windows 10 Anniversary Update. They'll then get a notification about the Creators update with an option to select various privacy settings. In addition to making privacy settings more clear, Microsoft is giving users more control over how and when updates are applied, including the Creators update. In the past, Microsoft has been criticized for aggressively pushing the Anniversary Update to users. This time around, it is toning things down. Opting to "Restart now" will begin the upgrade process, though users can also schedule a time that is more convenient (and reschedule if the designated time turns out to be less convenient than expected) or hit the "Snooze" button. The snooze capability delays the update process for three days. On top of these new options, Microsoft is widening the "Active Hours" time from 12 hours to 18 hours so that Windows won't install updates when users don't want to be interrupted. At this point, Microsoft has to be getting close to adding everything before testing a final pre-release build. 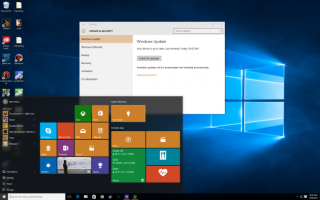 Any additional major changes will likely wait until Microsoft rolls out a second big update to Windows 10 later this year. As for the Creators Update, it's scheduled to arrive in April.